Get ULTRA DOFOLLOW White Hat Manual 200 High Authority & Most Trusted Forum Profile Links from DA40+ to Boost Rank Dramatically of Websites, Youtube Videos, Facebook Page, Twitter Page & Google+ Page etc. 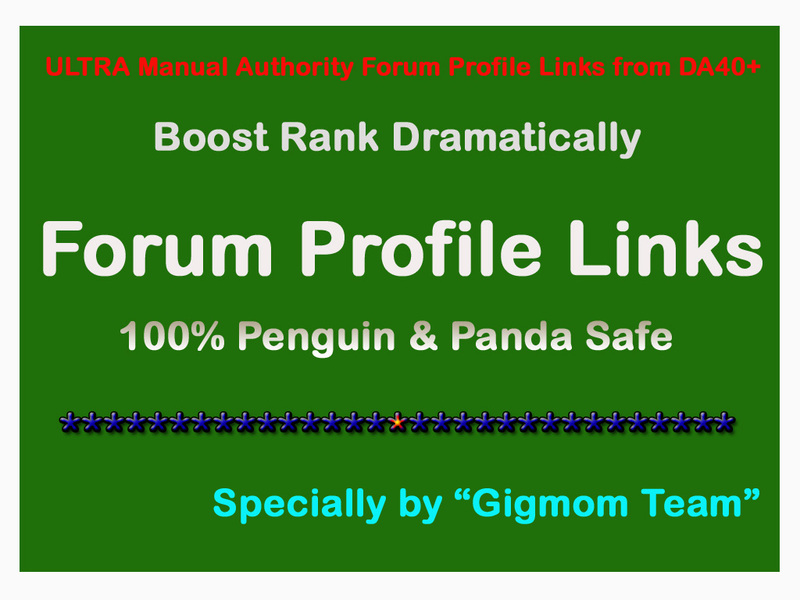 Forum Profile Links will create on 200 different high authority sites (DA40+). That means your website will boost up on most trusted and best-ranked sites on Google. ULTRA DOFOLLOW Manual 200 Authority Forum Profile Links from DA40+ to Boost Rank is ranked 5 out of 5. Based on 37 user reviews.